Another national ranking confirms what locals already know: Portland is a wicked good place to live. Maine’s largest city ranked No. 23 out of 125 best places to live by U.S. News and World Report. 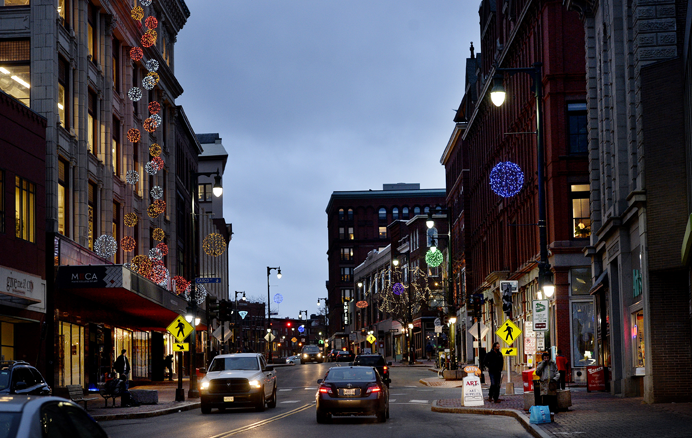 Portland was the only New England city to break the top 25. “For the people of Maine, there is only one Portland,” the magazine said in its profile of the city. U.S News and World Report ranked cities based on availability of good jobs, housing value, quality of life, how much people want to live there and its net migration – how many people moved to or left the city. Portland was awarded 7 out of 10 overall points, with higher marks for quality of life and job market. It also got high marks for a crime rate far below the national average. It had the same overall points as six other cities including Washington, D.C.; Charlotte, North Carolina; and Dallas-Fort Worth. The city lost points because of the high cost of housing, about 22 percent above the national median, according to the magazine. “Public officials and residents are increasingly concerned about Portland’s affordability because Portland’s housing costs are rising steadily,” it said. The magazine considered the entire Portland metro area, encompassing almost 526,000 residents, when compiling the list. Maine’s overall population is 1.3 million. Other New England cities were ranked lower than Portland. Boston came in at No. 27, and others in the top 100 included Manchester, New Hampshire, No. 43; Hartford, Connecticut, No. 47; Worcester, Massachusetts, No. 62; Springfield, Massachusetts, No. 86; and Providence, Rhode Island, No. 91. Austin, Texas, was ranked No. 1 in the country, followed by Denver and Colorado Springs, Colorado; Fayetteville, Arkansas; and Des Moines, Iowa. Portland has repeatedly found itself on national lists for quality of life, raising kids and of course, food. Bon Appetit named Portland its Restaurant City of the Year in 2018.